When I started seeing my wonderful nutritionist, Dawna, back in August, my goals were to heal from my loss, get my body healthy for a future pregnancy, and manage my PCOS. While I’ve been doing really well with those goals, I haven’t really dropped any weight; I’ve been going back and forth between the same 4 pounds. Losing weight with PCOS is a struggle. 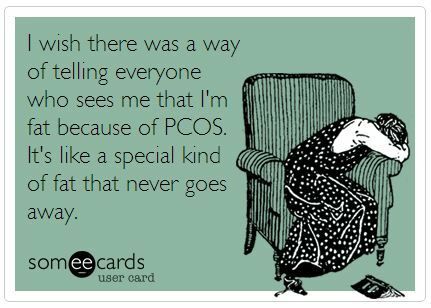 I know you shouldn’t tie your self-worth to your weight, but as someone who has struggled with this their entire life, even more-so with a PCOS diagnosis, it’s REALLY hard not to. Add that plus an unexplained loss where the only factor is I am obese (according to my BMI) which puts me at a higher risk for miscarriage, it’s enough to feel frustrated and helpless. I met with Dawna last month a couple days after my birthday (aka after indulging in all the things), and I decided I wanted to switch my goals to focus on weight loss. She put me on a 21-Day Purification Program to help “reboot” my body. It was tough because some of the things I couldn’t have were already substitutes for being on a dairy-free/gluten-free lifestyle (almond milk, corn tortillas). I had to get REALLY creative, and what I ended up doing was following a somewhat modified AIP/Paleo diet. At the end, I lost 6 pounds, tracked EVERYTHING, kicked my caffeine habit (replacing my morning coffee with hot water + lemon 🍋), and now my fridge is constantly full of fruits and vegetables, something I thought would never happen. I’ve really surprised myself throughout this process. Now that I am done with the purification program, I am back to my gluten-free, dairy-free (grass-fed butter and eggs are okay), and sugar-free (Stevia, honey, agava, etc. is fine) lifestyle. The purification process helped me form some good habits, and I feel way more confident in my ability to stay compliant, something that I’ve been struggling with since the beginning. In addition to dietary changes, I’m going to yoga 3 times a week (found an amazing new studio by my house) plus walking on the weekends with Joshua and the dogs. I’m embracing a more non-toxic, holistic lifestyle, and overall I am feeling a lot better.